Zechariah and Boaz would both love this Pet Pocket. 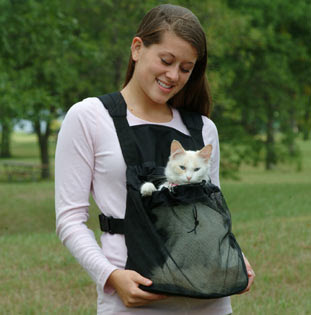 It's a feline Baby Bjorn! Cute! eeesh. I can only imagine your cats scratching the crap out of your stomach in order to jump out of that thing!